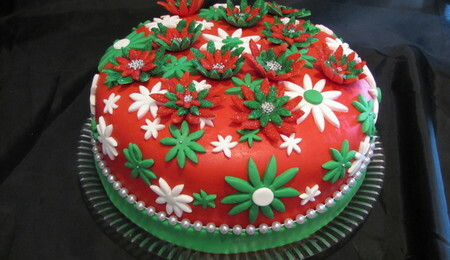 This is my first fruit cake that I made at the end of my level 1 cake decorating class. Covered with fondant. Flowers are made from cotton with modelling paste leaves and gum nuts. Australian native flowers and leaves.